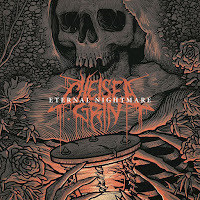 Home / chelsea grin / reviews / Review || Chelsea Grin - "Eternal Nightmare"
Review || Chelsea Grin - "Eternal Nightmare"
Chelsea Grin released their fifth studio album, entitled "Eternal Nightmare", the first one to feature the new vocalist Tom Barber, on Friday July 13th via Rise Records. Despite everyone's thoughts that Chelsea Grin would never be the same without former vocalist Alex Koehler, the band turned the odds in their favor and Tom proved that he is a worthy successor, as we will see below. It should be noted though that the formula for writing ad arranging their songs hasn't changed much. The record kicks off with the single "Dead Rose". This song is the perfect album starter, as it gives away what to expect for the rest of the album. A strong song with breakdowns and that sharp trademark sound that we all know and love, as Barber's vocals fittingly enhance the strong lyrics. Alas, this is just the tip of the iceberg. As we progress trough the album, we can clearly see that a newfound dynamic and oddly enough balance, as songs are getting heavier and heavier. All pieces contain unique traits but two of them are really standing out; "See You Soon" and "Hostage". The former shows the bands capabilities in terms of raw and aggressive sound -a few notes of the intro will convince all naysayers. Regarding the latter, one can say that it sonically and structurally breathes essential Emmure-esque elements but with quite a darker twist. The album closes with the title track, "Eternal Nightmare", a really interesting song with some astounding guitar solos clearly drawing from the eastern tradition, and of course a lot of breakdowns. 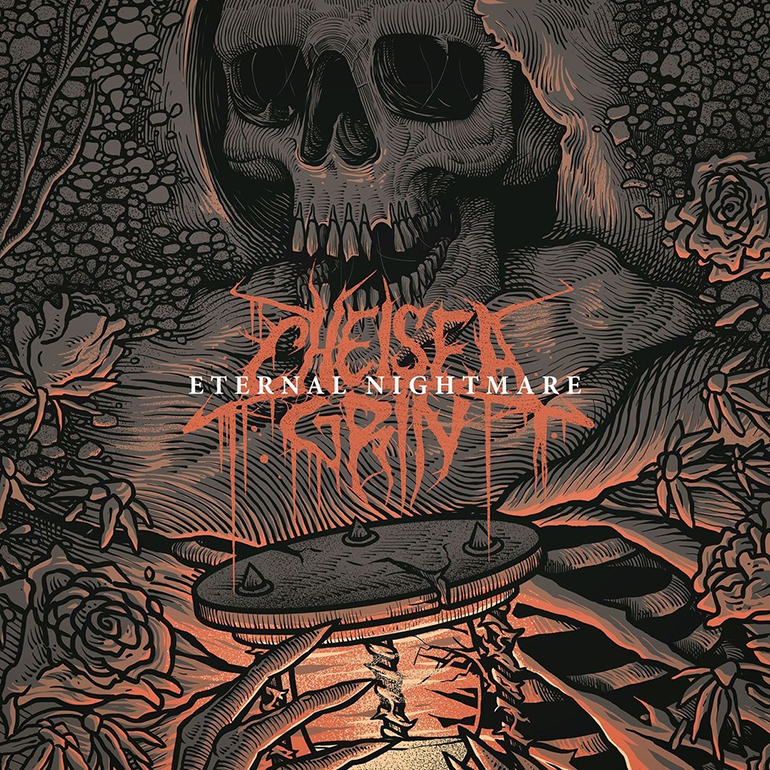 From this release I can say without any doubt that the future of deathcore is in good hands for the time being, and that Chelsea Grin can still pave the way with their influence in the genre and scene. "Eternal Nightmare" feels like a fresh take on what shaped their earlier material; it's a very well written and produced album and CG should be proud of what they have accomplished in such a short time, let alone with a new band member.